First, it is ridiculed. Then it is violently opposed. Whilst it may be problematic to prove its efficacy within current scientific thinking and methods, Homeopathy has an unprecedented history of non-invasive, successful medical treatment for over 200 years. This evidence is recorded in The Repertory, a standard reference book for homeopaths. When the NHS was set up in 1948, homeopathic hospitals were deemed sufficiently relevant and effective to be included in the national public health system. Some of these hospitals continue to serve patients through the NHS today. Homeopathy is also available through private practice. Homeopathy is an alternative form of medicine, which involves treating the individual with highly diluted substances, given mainly in tablet form, with the aim of triggering the body’s natural system of healing. Based on their experience of individual symptoms, a homeopath will match the most appropriate homeopathic remedy to each patient. It is my belief that homeopathy works on the principle of “like cures like”, that is, a substance that would cause symptoms in a healthy person is used to diminish those same symptoms in illness. This principle “Similia Similibus Curentur” was identified by Samuel Hahnemann, the founder of Homeopathy. As yet, science has not been able to explain the mechanism of the actions of ultra-high dilutions in the body, but laboratory experiments have repeatedly demonstrated that homoeopathically prepared substances cause biological effects. With this form of medicine, scientific research within homeopathy continues to ask many important, unanswered questions, such as, How effective is homeopathy compared with conventional medicine for specific medical conditions? What does homeopathy cost compared with existing treatments? What effect do homeopathic medicines have ‘in vitro’? Researchers around the world have begun to investigate these kinds of questions and some exciting results have been published. For Children & Homeopathy, please scroll down the page. Isn’t Homeopathy just a placebo? If homeopathy was a placebo response then it would not work in babies or animals but it does. Homeopathy works only on a superficial level? If a person is using Homeopathic medicines, is it possible for them to use conventional drugs at the same time? The beauty of homeopathy is that is CAN be taken along other medication and if anything it supports the body in dealing with the toxic burden of the medication. Do you have to give up Tea & Coffee to take homeopathic medication? This is not the case. It is advised that you leave 10 minutes either side of taking the homeopathic medication before you eat or drink anything. Book a free face-to-face or online consultation with Lisa Barnes. Great content delivered straight to your inbox everyday. 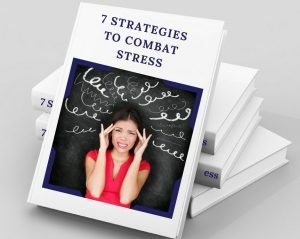 Sign Up Now for the top 7 tips and strategies on how to manage stress.